my waiting list for fire and safety is 992 .is there any possibility of getting seat..? Sir my waiting list in cs is 23 for soe under nri quota.can i get aoe under nri? Sir,what are my chances at cusat? Can I get cse or ec in soe?my rank is 2680 and am keralite.till what allotment I have to wait? can i get civil engineering in any camous if my general rank is 5780 and i'm a non-keralite.? sir,what are the chances of getting msc physics with rank 25, general category? 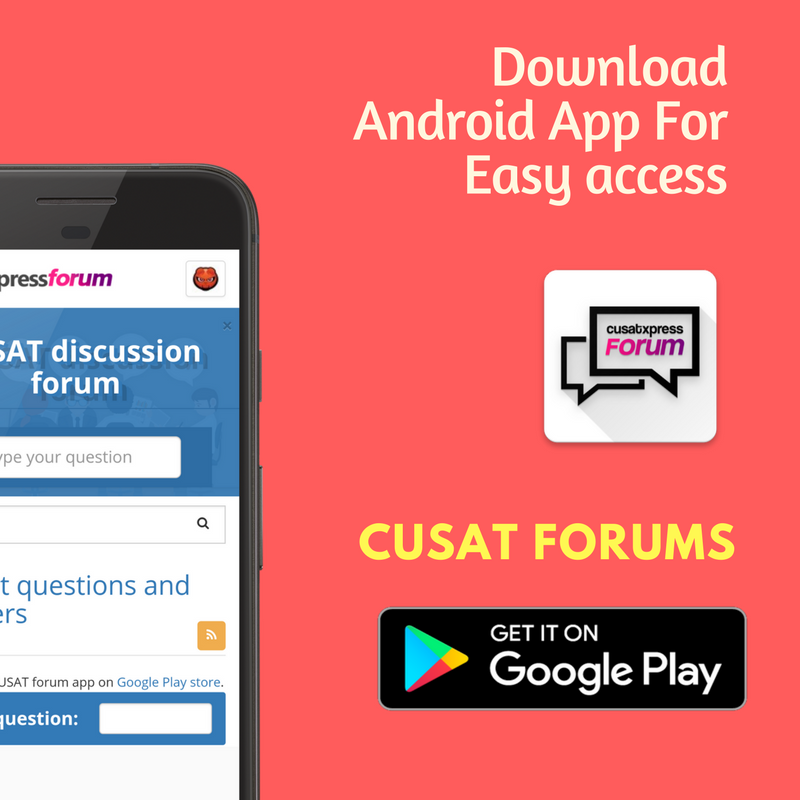 can i get cusat ce with 2739 rank on india merit in 2nd or 3rd counselling? my cusat rank is 5780,which campus will i get.? my waiting list no in me in soe is 101 after 1st round is there any chance i can get it?